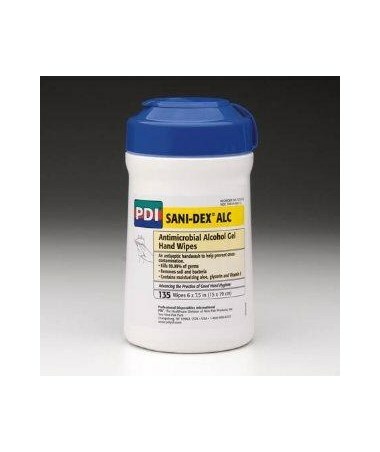 PDI Sani-Hands ALC anti-microbial alcohol gel hand wipes are the #1 sanitizing hand wipe in the healthcare market. When soap and water are not available using PDI Sani-Hands ALC hand wipes has been proven more effective than just alcohol gel alone. 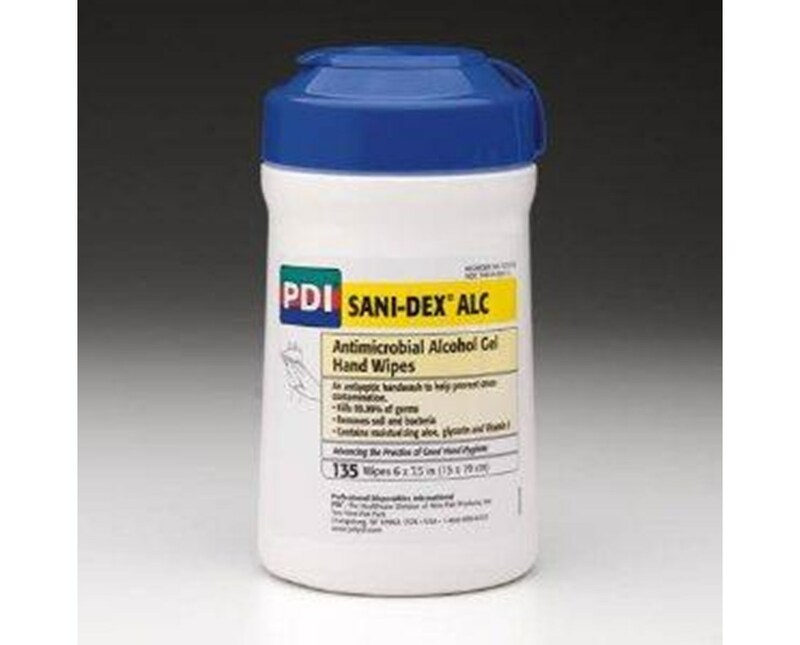 Use PDI Sani-Hands ALC anti-microbial alcohol gel hand wipes and get rid of the soil and bacteria and kill 99.99% of the germs. Clean and sanitize with one product. Remove the germs and debris don't just rub it in. Ideally packaged in an easy-to-use pop-up tub or single use individual packets, requires no mixing or measuring, and gets rid of soil, debris, and germs as well. Uniquely designed deep-well lid on the canister provides both storage and easy access to next wipe. These wipes contain an alcohol-based formula as recommended by the CDC at 65.9% by volume. The pluses with this product just keep going. They are dye free and fragrance free so that decreases the risk of allergy or sensitivity. The hands will dry quickly retaining important moisture in the skin to prevent drying and leaves behind no gummy residue. These wipes are even FDA food grade compliant so you can use a wipe to clean and disinfect the hands then eat without fear of harm.